Some startup ideas are long overdue. Found in Town is one of them. Many of us have had the experience–often, just as we were about to give up on humanity–of having a lost wallet or cell phone returned to us by a perfect stranger. It’s the hypothesis of Found in Town, a new Chicago startup, that these moments of unexpected human goodness would be much more frequent if only technology were to lend a helping hand. Found in Town essentially brings the lost-and-found box and puts it on the web. The idea is ludicrously simple. Do you have a belonging so precious you can’t stand to lose it, but are you so absentminded that you almost certainly will? Register with Found in Town, and they’ll assign you your own serial number. They’ll send you a keychain and a bunch of stickers with this number, which you then affix to your wallet, your phone, your camera, and so on (actually, there is already a website devoted specifically to “orphan cameras“). Then you lose your precious thing, of course. But then something beautiful happens. 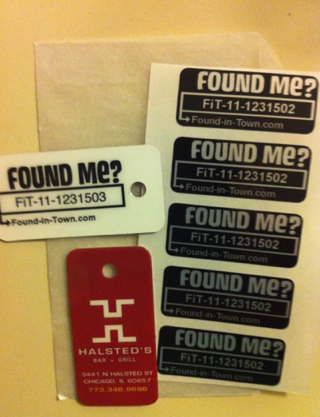 A stranger finds your precious thing, follows the instructions on the sticker by logging on to Found in Town and plugging in your “FiT code.” Further streamlining things, the person who finds the lost item doesn’t have to take it home; he can leave instructions through the site, saying, for instance, that he found it at such-and-such bar and left it for safekeeping with the bartender. Voilà! An act of digital good Samaritanism has been effected. And along the way, hopefully, Zach Haller and some other people have made a bit of money. (Though Haller doesn’t need to make a killing off this yet; for now this is more a hobby, on the side of his already more than full-time work as a paralegal and aerobics instructor.) 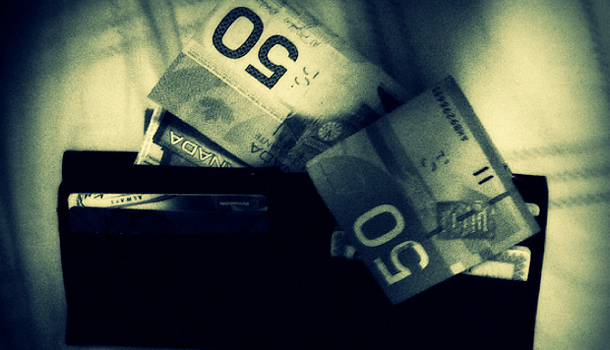 Haller has opted for a series of partnerships with local businesses, to monetize his own. When you sign up, for instance, you get a key chain bearing the logo of a local bar or restaurant you’d like to affiliate with. Businesses “also have the option of emailing registered FiT users to invite them to participate in exclusive deals, discounts and incentives on site, creating a unique digital loyalty program,” claims Found in Town. Though FiT is decidedly Chicago-centric for now–it has four participating businesses there currently–it has plans to expand to what Haller calls “other social media-forward restaurants and bars” throughout the country. FiT doesn’t have outside investment yet; Haller says he’s finalizing an investor presentation.